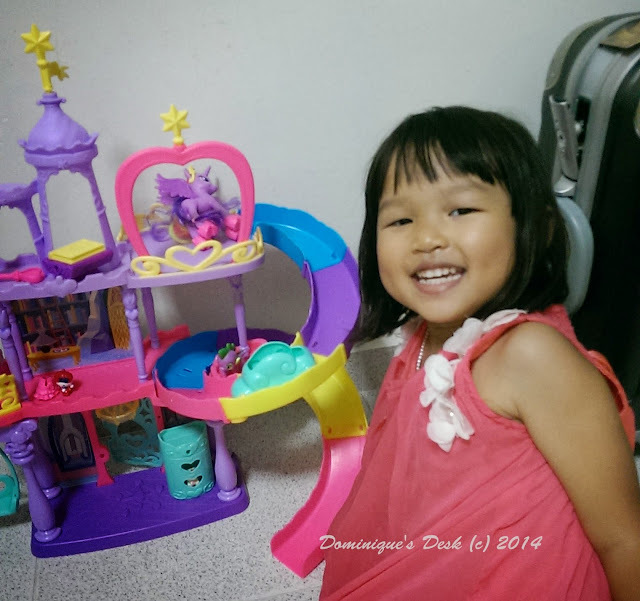 Last September Tiger girl celebrated her 4th Birthday and received a huge My Little Pony Playset. This year she requested for My Little Pony toys again and we were happy to grant her wish. 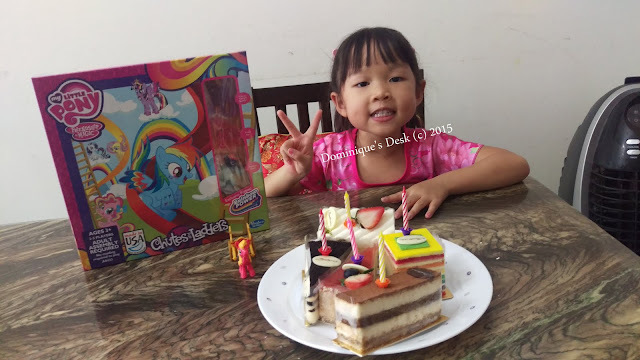 This year she requested for a My Little Pony board game and we had fun playing it together with her. As you can see her hair has grown much longer and she no longer has shoulder length hair. I can say that she has lost most of her “baby fat” at 5 yrs old now. Saw this on my facebook feed this week. Comparing what was on the blog last September with what I have posted this September. I wrote about how I was coping with Goal Setting and what I’m doing to get towards my targets. 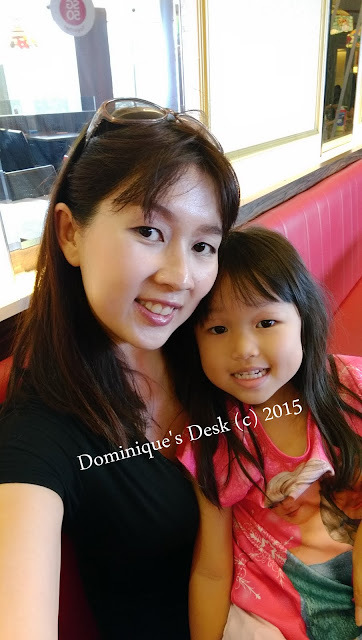 I’m spending much more time with the kids and have cut down a lot on the blogging front to concentrate on them and other new ventures that I’m handling at the moment. When I walked away from it I felt a relief. Now I’m back and have learned so much. You have a beautiful daughter there. Enjoy your time with her being young. My youngest is fixing to be 10 and I look back and I miss those young days. They are precious. 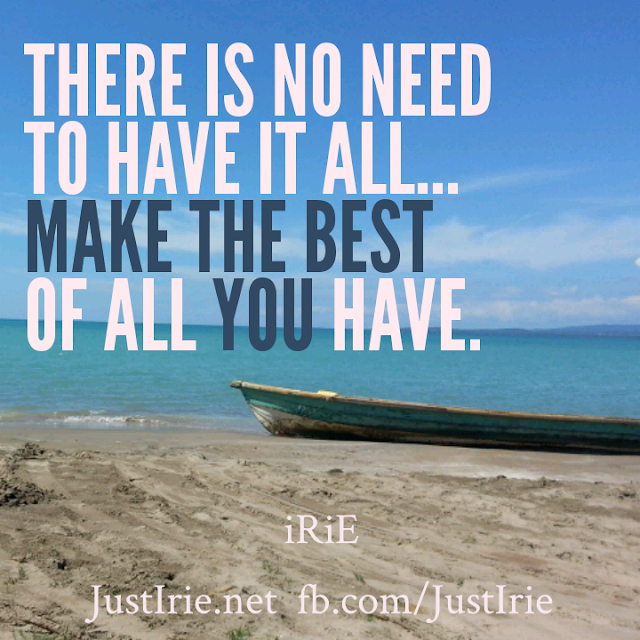 Cherish it. Sweet pics of your daughter! 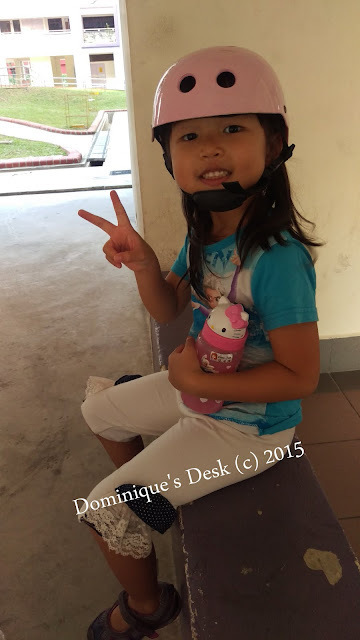 My granddaughter (age 9) loved Ponies when she was little… and still does! I’ve spent many an afternoon playing all manner of Pony games and made up excursions! I love the fall, so I am trying to be in the moment right now and enjoy it! I love the mother/daughter photo. Lovely. The ponies bring back memories of when my own girls were small. Enjoy these days! I really like your daughter! She’s super cute and she looks like you! 🙂 and yes, I agree, we don’t have to be good at everything, just polish what we are skilled at. She is such a sweetie! My two girls are now teenagers and I kind of miss those days when they loved little pony and disney dolls (back then Lindsey Lohan was still adorable lol they had her doll!). With my 10 year old boy, he is into Vanguard cards (which I limit, by the way) and XBox games. She’s growing fast. Well, I have a busier September because of our Admin Assistant’s maternity leave, and a new house help that needs to be trained. But all in all, it’s a very productive month for me.